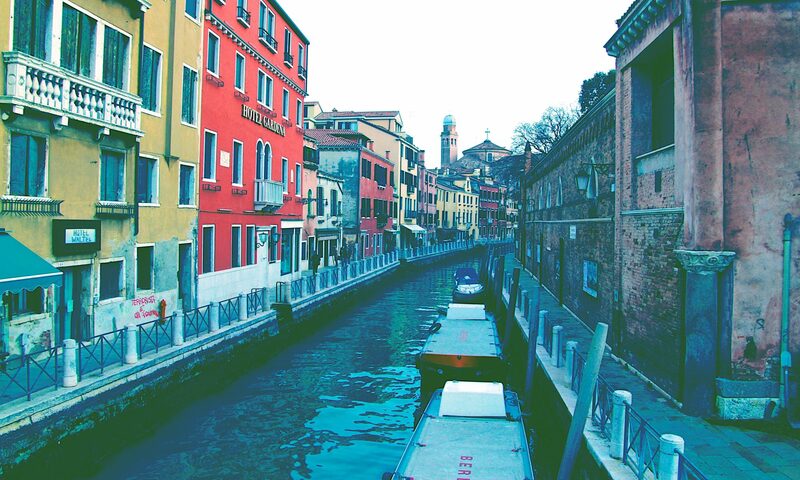 Venice isn’t only San Marco and Rialto, Venice is more… so much more! For example there are Venice’s islands, and one of them is the colourful Burano. The name ‘Burano’ has origins from ‘Porta Buranea’ (Buranea’s door) so-called as it is in the North-east, that is the direction where the Bora wind blows. But what are the origins of the island? Altino’s population ran away from the barbaric invasions and they went to the lagoon islands. In the introduction of the item I called Burano ‘colourful Burano’ : that’s because if you walk around the island you can see that houses have different, intense colours : this is a particularity of the island that gives to it a special appeal. Your eyes will be captured by these colors, it is guaranteed ☺ . The first lace of Burano was made in 1500 (more or less) and its processing was done only in the stately homes using a needle and thread without the support of the canvas. They embroidered geometric designs, flowers, animals and swirls and now you can find the best works in the ‘Museo del Merletto’ (Lace Museum) located in Burano’s main square. The tradition goes on even today and you can find a lot of shops that sell centerpiece, dresses, and other products entirely made with lace… you have to see them, they’re amazing with unbelievable precision. In Burano you can find a lot of shops that sell certified Murano glass too, but as you can imagine, this is the most important activity of Murano (where the glass of Murano is produced) and not Burano. Another particular of the island that you can see very easily is the bell tower… which isn’t exactly upright ☺. The bell tower is crooked because of land subsidence, it is 53 meters tall and has an inclined axis of 1.83 meters. This is only an introduction to the Island of Burano, I’ll tell you more in other items, I promise! If you want to see Burano’s pics you can find them in our Facebook profile.